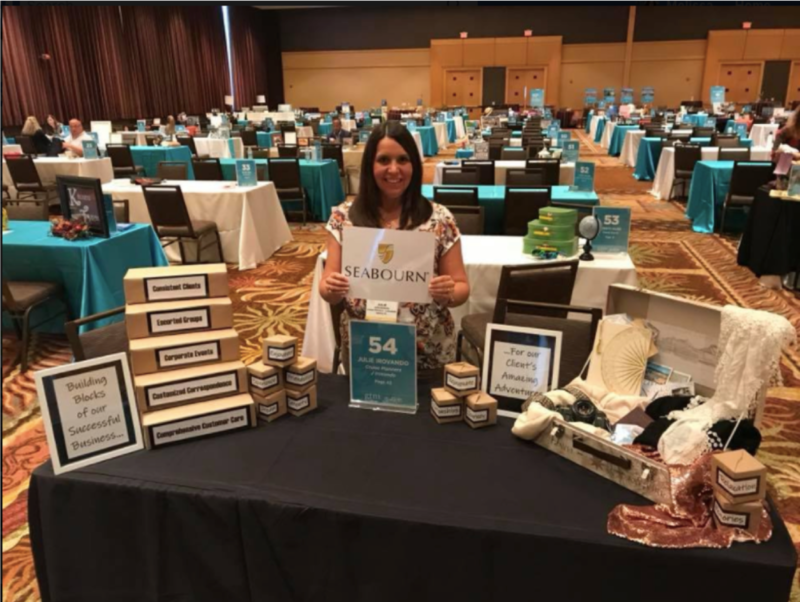 Christina's table told her journey through the industry, from working with cruise lines, to selling discount cruises, to finally selling luxury cruises like Seabourn. A video accompanied the table, which solidified her as the clear winner! GTM PARTICIPANTS HAd THE EXCLUSIVE OPPORTUNITY TO WIN A SEABOURN CRUISE for 2 to the caribbean! see below for contest rules. Seabourn wants you to identify YOUR DIFFERENCE. Decorate your temporary desk with elements that help demonstrate the essence of YOUR BRAND and how you would promote Seabourn, the world's finest ultra-luxury cruise line. 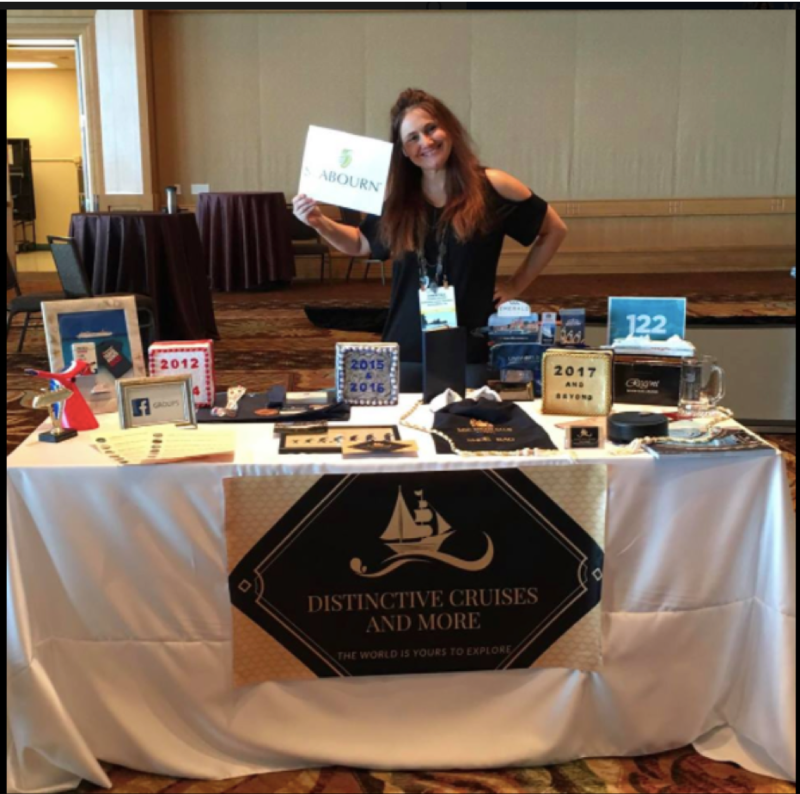 Then, have someone snap a photo of you at your table, including the Seabourn sign you received at check-in. Submit it following the instructions given to you on the back of the sign! Take a photo of your uniquely decorated desk***, showing what makes you and your business different and how you would promote Seabourn, the world’s finest ultra-luxury cruise line, to your clients. The photo must include the Seabourn sign you were provided. Entries must be received by 9pm on Friday, July 13. We’ll announce the grand prize winner along with 2nd and 3rd place winners on Saturday, July 14. ***Desks are 8' x 30".